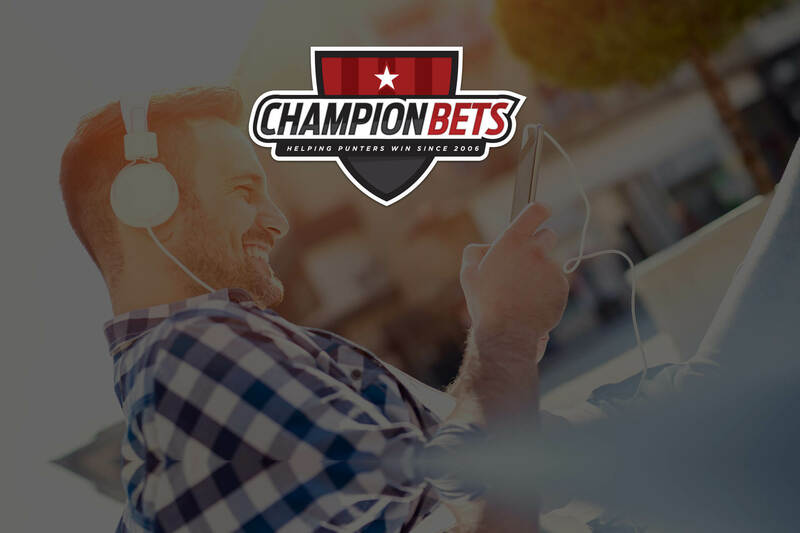 Our NSW pro punter joins us on this week's podcast. Our podcast guest this week is none other than our NSW pro Nathan Snow: we get his thoughts on the Golden Slipper, other autumn feature races and Sydney’s treacherous conditions. Mark Haywood: Our guest on today’s podcast is our very own Nathan Snow; welcome Snowy. Nathan Snow: Thanks for having me. 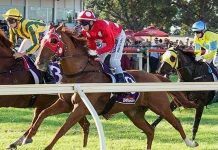 Mark Haywood: Obviously, I just wanted to get you on because this is the peak time of the year for New South Wales racing as we head into the Slipper and the autumn carnival and then into the Championships. I thought we’d just start by looking back a little bit, it’s been about 12 months since you were last on the podcast and in that time, particularly with the rating service you run for us, it’s gone absolutely gangbusters; up about 100 units over the last 12 months. Do you just want to take people through I guess what’s gone right in that time, obvious it’s been a pretty positive performance. Nathan Snow: Yeah, pretty proud, just mainly of the consistency that we’ve been able to put in I think since we had the rough old start we had for the first two months. 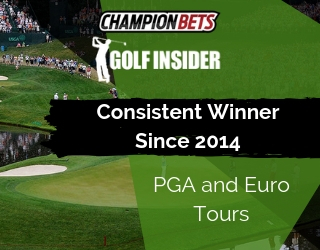 I think since April 2015 to now is up about 250 units over that time and through that whole time it’s sort of hovered between eight and twelve percent on turnover and I think our biggest drawdown might have been 60 units during that time and you know, we’ve had a few periods of two or three months where we’ve sort of hovered around square but it’s generally been a pretty nice upswing and yeah, the consistency is what I’m most happy with. Mark Haywood: Yeah sure and how would you compare I guess that period with former periods in your punting life? Nathan Snow: Oh look it’s been probably a decent sort of year but nothing record breaking or anything, you know it’s paid the bills, it’s been good; like I can’t complain. 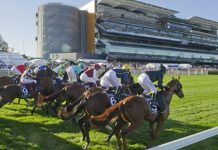 Mark Haywood: And just turning to the autumn carnival now, probably the one thing everybody looking at New South Wales racing at the moment is noticing is the conditions. It seems like it’s been raining for about a month up there and that and it might continue for another month. So I guess looking at wet tracks specifically, how do you handle them? 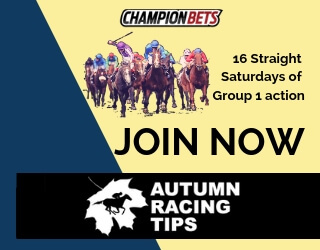 Nathan Snow: Yeah I find them quite a bit of an edge, there’s a lot more work to put in but you can find them more rewarding, especially for someone who specialises and knows the horses as individuals. You need to be able to adjust to how the track’s playing, some wet tracks are different to other wet tracks and you can anticipate a really wet track and it might be as wet as you think and you know, some tracks are draining a lot better than others these days. It’s just all about being flexible and knowing the horses and changing during the day if you need to. 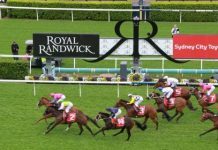 Mark Haywood: Looking towards this week and Golden Slipper day at Rosehill, the Rosehill track in the wet, is that something you’re fairly confident approaching? Nathan Snow: Yeah, it’s definitely one of the better draining tracks at the moment, it’s definitely a different surface to a Randwick heavy that’s for sure or even a Warwick Farm heavy. They’re much more testing and deeper surfaces whereas with Rosehill if you get a bit of clear weather on Saturday morning here, six hours of clear weather and it can drain all right during the day and get towards a slow region if it hasn’t rained too much in the next day or two. Mark Haywood: Looking at the Slipper in particular, I’m sure you haven’t gone completely over the form but you’ve probably had a bit of a look? Nathan Snow: No I actually have, I actually have had a bit of a look at the Slipper already and it’s a race I’m quite interested in, really. Plenty of hopes, plenty of reasons to be with the favourites, plenty of reasons to oppose all the favourites and I just sort of, I was really taken with the way Tulip went last start in the Magic Night, jumped well, taken back, sat three wide without cover and then it just chimed in. Alizee I’ve a very strong opinion of and it was bolting at the top of the straight, we were on, I was counting my winnings and this ran past her like it was tied to the fence and there was a good gap to third and fourth and I also have strong opinions of. I think that will prove to be a really strong form race and I just think a week back up on the wet track, proven at Rosehill and I was just looking back and I thought well if Tulip’s gone so well and surely the Blue Diamond form is the way to go, there were three others that finished ahead of it but, I’m pretty sure Pariah and Catchy were set to peak for the Blue Diamond and it’s really hard to get horses up again, twice, especially as two year olds. Tulip had 30 days off into the Blue Diamond then the run in Sydney, it suggests to me it was the one that was targeted at the Slipper all along. I think it can bounce off that Blue Diamond and turn the tables on those runners. Given how good it went last week up here, it’s my top pick in the race and you know, there’s reasons to sort of pot holes in all horses under double- figures and I found a couple of roughies, I thought Menari, you know it’s been my top pick as a two year old all along; it’s just got more ability than the rest of them, had excuses last start, I’m not necessarily putting it down to the wet track, I’m putting it more down to missing the run, over-racing, being set alight early and then knocking up; I thought it went through the heavy track really well in the trial before, so I’m sort of forgiving it. I thought Trekking, more suited in the Sire’s and the Champagne but he’ll go back to last here if the pace is overdone and he can come through instead of going around them, it might sneak a place late at big odds but yeah, I’m pretty keen on Tulip in the race actually. Mark Haywood: Any thoughts on Houtzen, the favourite at the moment? Nathan Snow: Yeah, it’s done nothing wrong, the Magic Millions win was really big. But again it’s got to peak twice in the preparation, it’s just had the one sort of soft 1000 metre run leading into this; it’s going to be a strong 1200, there looks good pace inside it, it’s just, you know, it’s entitled to be favourite but I’m probably going to price it more closer to $7.00, maybe $8.00 sort of thing. Mark Haywood: She Will Reign which was I guess all the rage a couple of weeks ago, your thought on her? Nathan Snow: Yeah look, 1200m was always going to be the query with her but it did a decent job at the 1200m the other day, I’m not convinced that form line for Frolic, She Will Reign, you know beat Veranillo the start before that. I’m just not real convinced that’s a strong enough form line for this race. Mark Haywood: Sure and you’re saying Catchy could have issues peaking again for this. Nathan Snow: Yeah look, it looks a very good horse; Catchy. It did have things to suit in the Blue Diamond, it ran on well, it attacked the line, untried on the wet and having to peak again off that run and that’s a query for mine. Mark Haywood: As far as the autumn carnival goes we might just look a little bit further to some of the other features. I’m sure you’ve got a few thoughts on form lines heading into that. So the Doncaster? Nathan Snow: Yeah, just scanning through the pre post markets here look I thought the two that really stuck out at me, they’re both in on Saturday, McCreery can handle any conditions, got a really good turn of foot, loads of ability, looks like it has come back well and I thought Hauraki has come back enormous this preparation, the trial was super, ran on really well on the unsuitable heavy track and if the track for the Doncaster is classed as slow or better, it’ll come right into it. It’s just not at home on the heavy track, that’s why I’ve been really taken by that first up run in the trial, what it’s done so far this prep. Yeah, those two sort of appeal to me at the moment. Mark Haywood: Yeah right, any thoughts on Le Romain, a horse that seems to almost be consistently underrated but keeps producing. Nathan Snow: He’s just an honest horse, he handles all conditions, can settle anywhere, gotta love the horse, it’s hard to pot that sort of horse. Mark Haywood: And Chautauqua, there’s plenty of mixed opinions around about how Chautauqua’s travelling at the moment, you got any thoughts at the moment? Nathan Snow: Look I was never hugely on the Chautauqua bandwagon, I never thought he was as great as everyone thought he was and I don’t think he’s going as bad as everyone thinks he’s going now, so I just, I think he’s just a good horse, I don’t think he’s any sort of champion, any world beater and his racing pattern makes it hard for him to win races. And he’s just racing like this time, he’s probably 1400, 1500, he’s just running into some good horses at this stage. Mark Haywood: And I’m not sure how close you’re following the Melbourne form at this stage but Black Heart Bart has obviously done a lot down here. Heading to the Doncaster, you got any thoughts? 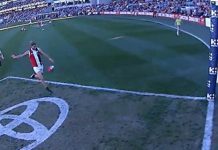 Nathan Snow: No, leave me out of Melbourne form until I see them here. Mark Haywood: Fair enough. I guess moving on again further, the T. J. Smith, Chautauqua is top of the market there but have you got any thoughts on that at the moment? Nathan Snow: Yeah, just looking at the pre post market, it doesn’t look like a lot of depth in the race. I guess Astern, clearly the best horse, haven’t seen how it’s going lately, I kind of recall I think it may have just trialled recently, I’m not sure so, it’s one to keep an eye on. I’m thinking English has come back super and seems big odds. Russian Revolution trialling well, resumes this weekend, it could be a smokey. Mark Haywood: Yes and just on English, you’re pretty keen on the way it’s looking? Nathan Snow: Yeah, it’s always been a very good horse, it can reel off just really top-top class sectionals and handled the slow track last start, not at home on it and in the worst part of the track I thought she’s come back real well. Mark Haywood: Yeah, all right. Probably the other main feature’s the Queen Elizabeth Stakes, do you reckon you can find us a winner there or? Nathan Snow: Yeah, she gets there sound, she just wins. She’s too good, she’s the best I’ve seen. Wet, dry, sprints , stays, doesn’t matter. I’m glad they didn’t scratch her on that heavy track to protect her record at, would’ve felt a bit high but; yeah, she’s got it all now. Mark Haywood: $1.35 at the moment which actually looks pretty attractive. Nathan Snow: Well you’re just banking on her getting there healthy pretty much. Nathan Snow: Still not for me though. 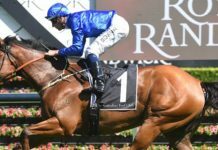 Mark Haywood: Your thoughts on Hartnell, now down here in the spring, you know Hartnell versus Winx was actually, I guess going into the Cox Plate everyone thought it could be a bit of a match race but Winx quickly put paid to that. What are your thoughts on Hartnell and just how good he is? Nathan Snow: He’s a very good horse and you know a dominant horse without her around and, yeah, he’s probably a three or four length worse horse I guess. Just tells you how good she is. Mark Haywood: Finally just a quick one, like all good punters you’re always evolving, so from bookmaker to punter to multi-media superstar, you’re hosting a series on racing.com’s web site, do you just want take us quickly through what you are doing there and I saw your first piece went up last week I think. Nathan Snow: Yeah, I wrote a couple of pieces for the Sportsman last spring and they seemed to go across well and racing.com were looking to improve their content for punters and asked me if I’d come up with an idea for a series and I always love hearing the stories of how different punters got to where they are and what they do to make them successful and seemed happy enough for me to have a go at writing the series and; yeah, I spoke to Stewie Davidson last week, it was a great chat. I had a wonderful time and that piece goes up tomorrow so yeah, there’s a few other good names coming up in the next few weeks and sort of really enjoying it, yeah. Mark Haywood: Sure, just for those who aren’t familiar with Stewie, what’s his background? Nathan Snow: Stewie’s a former Bookmaker, punter, just been a real, I don’t know how to describe him, he’s just someone that the whole betting ring looked up to I guess. For the last 20 years, he’s been an enormously respected form student; very disciplined punter; just had some great stories to tell as well. Mark Haywood: Absolutely, sounds great and we’ll link to that on the web site too so everyone can click through and have a look. We might leave it there Snowy, thanks for that.